There’s an artist inside all of us. I discovered that after I picked up a brush and some oils for literally the first time in my life and was freed by my Bob Ross teacher to paint. This “happy little trees” lake scene was an easy one (perfect for a rookie) — and it was close to my heart, as it matched my memories of boating in the San Juan Islands in Washington state as a kid. I got snared by the Bob Ross gang in Baltimore, at a convention for public television programmers. 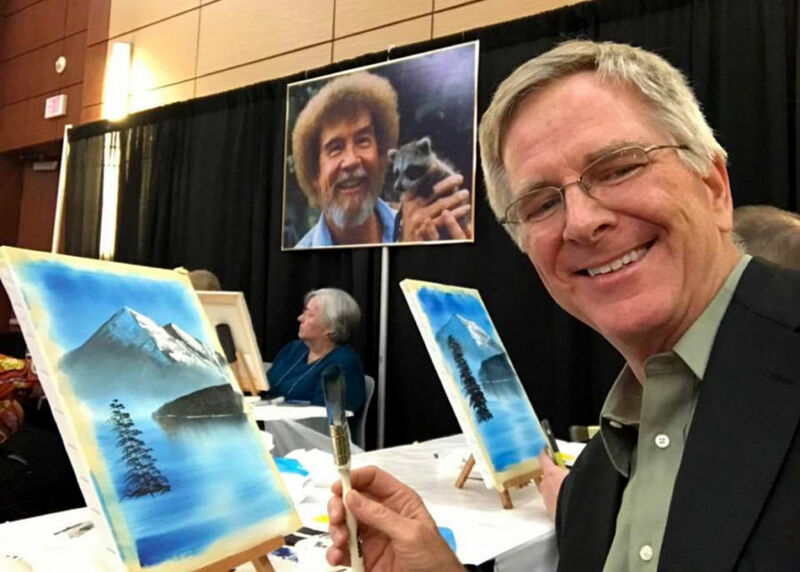 I was there to talk about my TV show, Rick Steves’ Europe — and they were there to promote the late, great painting guru’s program, so beloved in public TV, The Joy of Painting. I ended up (uncharacteristically) sitting down for an hour and enjoying the stroke-by-stroke instructions. And I loved every minute of it. Thank you, Bob, for the delightful reminder that there’s lots of adventure and self-discovery out there that doesn’t require a passport — and thank you, public television, for reliably sharing both our shows across the USA.